What does home sound and look like to you? #LeadMeHomeNovel contest and book giveaway! As summer slowly rolls into the Midwest, it always makes me think of lazy afternoons on the front porch with the sounds of my family milling about in the backyard. What does home sound and look like to you? 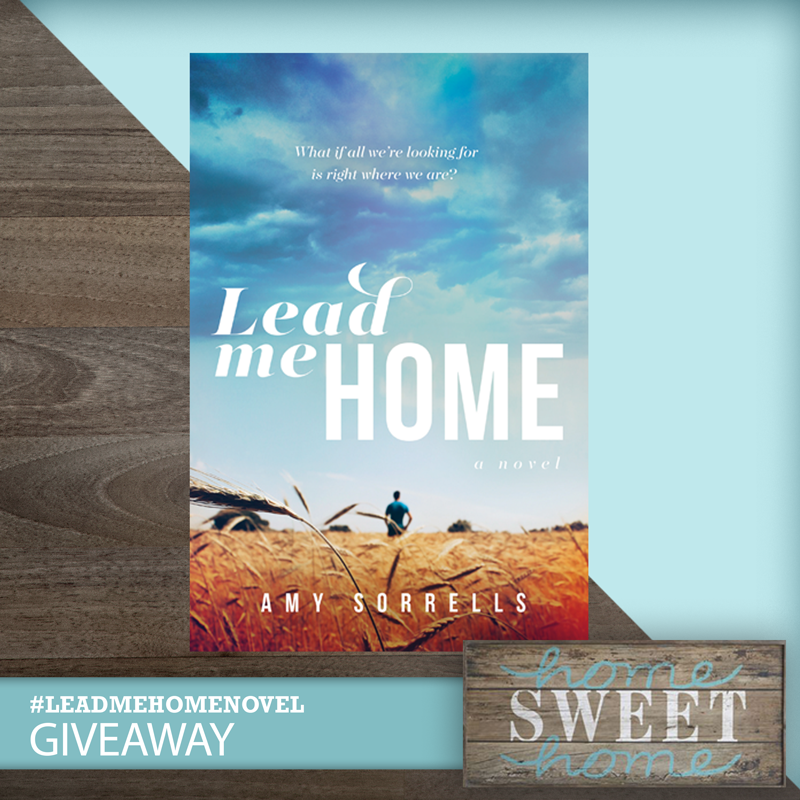 Share a photo that represents HOME for you, and be entered to win the grand prize of this beautiful ‘Home Sweet Home’ sign and a copy of Lead Me Home, my new novel. FIVE other lucky winners will receive a copy of the novel. Visit my Facebook page now for rules on how to enter and details! 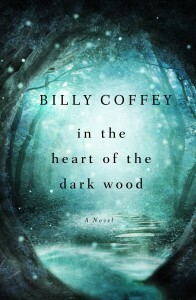 Billy Coffey interview and In the Heart of the Dark Wood giveaway! It’s the week of Thanksgiving, a time when most folks are counting their blessings, and I count my friendship with Billy Coffey as a big one. He’s one of the first real writers I met when I began my own novel writing journey, and in addition to being an incredibly gifted writer, he is an honest gentleman, and as real as they come. So today it’s my sincere pleasure to share this interview with you, as well as some insight into his FIFTH novel, which one lucky person who leaves a comment will win (and I hope the rest of you will buy)! Raised in small-town Virginia, Billy Coffey is the author of five novels, including Snow Day (2010) Paper Angels (2011), When Mockingbirds Sing (2013) and The Devil Walks in Mattingly (2014). He he’s a husband and father, and in his own words, he believes the best life is one lived in the country enjoying the pleasures it provides—summer nights beneath the stars, rocking chairs on the front porch, deer grazing in the fields … and that no matter how iffy life can get sometimes, there are some things that are eternal and unchanging. Above all else, he believes that in everything there is story waiting to be told. Sounds amazing! Tell us more, please! Q: HOTDW is one of the most unique books I’ve read in a long time, reminding me at once of Lewis’ Narnia and Tolkien’s Lord of the Rings series. Did either of those works inspire this story? BILLY: I grew up living in both Narnia and Rivendell, at least in my mind. I’ll still go through The Lord of the Rings every few years, and it’s always like I’m reading those books for the first time. There’s just a magic to it all. Not just the stories and the characters, but the language itself. Tolkien was a genius. Q: I write my first drafts in longhand, which some folks think is pretty weird. Do you have any strange or unique writing habits? BILLY: I’ve written all my books with an old Waterman fountain pen and stack of blank Rhodia paper. I don’t think I could function without either one. BILLY: Crooked Letter, Crooked Letter by Tom Franklin. I read it for the first time a while back, then turned right around and read it again. It’s still on my nightstand. It might just be the best novel I’ve ever read. Q: Just as your books inspire authors, what authors have inspired you? BILLY: I grew up with Lewis and Tolkien. They inspired me, but I wouldn’t go so far as to say they inspired me to write. Hemmingway did that. My high school English teacher gave me a copy of The Old Man and the Sea one day. I read it in a night and have been hooked on writing since. Flannery O’Connor is my favorite author. Stephen King is a close second. BILLY: I’d have to say the marketing. It’s travel and interviews on the radio and (twice) television. I wouldn’t say I hate it because I don’t (at least, when it’s over with I don’t), but I’m an extreme introvert. I like solitude, and I like quiet. For a few months out of the year, I don’t get to enjoy much of that. That said, I’m thankful for every bit of marketing I can do, even if I’m still trying to figure out why anyone would want to interview me. Q: Is there one subject you would never write about as an author? What is it? BILLY: It’s hard for me to write about family scars. My own are fair game. But the ones I love? I just can’t do that, even with fiction. BILLY: Racy, by far. Which I guess is why I write so few of them. You have to wield a delicate hand when you’re doing that sort of thing, especially for the Christian market. Q: Have you ever gotten into a bar fight? BILLY: My last fight came when I was around nine years old. It wasn’t in a bar. Q: Allie and Zach often find themselves in situations they aren’t sure they can get themselves out of. When was the last time you found yourself in a situation that was hard to get out of and what did you do? BILLY: Before my kids were born, I was up in the mountains one December day and got completely turned around. I’d blazed my trail well enough (or thought I had, anyway) but couldn’t find a single mark leading back. So there I was, stuck in some dark holler about eight miles on the backside of nowhere, and the sun was already going down. And you know what? I was scared to death. Truly. I had a knife and could get along okay if things got down to it, but you don’t want to play Grizzly Adams in those situations, you just want to make it back to your truck. I ended up doing exactly what Allie and Zach do—I followed the water. Q: You sure don’t shy away from death and the afterlife in our writing. What do you want your tombstone to say? BILLY: Something upbeat and completely redneck, like Whoah, that was awesome! Q: What literary character is most like you? 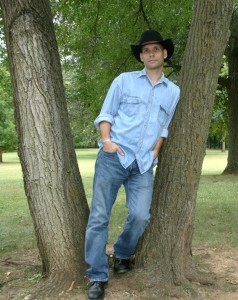 BILLY: I’m a little bit of Raylan Givens, a dash of Boyd Crowder, and a lump of Samwise Gamgee. Q: If you were an animal in a zoo, what would you be? BILLY: I had an old Apache Indian tell me once that my spirit guide was a wolf. I still have no idea what he meant, but I really like wolves. Q: Do you have any scars? What are they from? BILLY: I am riddled with scars, mostly from boyhood (dog scratches and hard falls) and baseball (I’ve broken eight out of ten fingers). BILLY: What are you scared of? The answer is mostly everything, but clowns especially. Q: What are you working on now? Will we see more of Mattingly? BILLY: My next book will be out this summer. It’s the first one that takes place outside Mattingly, in one of the little hamlets that dot the mountains. It’s called The Curse of Crow Hollow. After that, though, it’s back to Mattingly. Billy, thank you SO very much for taking the time to visit with us here today! Thank you for helping us see things different and with hope through the words and unique stories you pen. And a grateful, bountiful Thanksgiving to all! Leave a comment for your chance to win Billy’s newest novel, In the Heart of the Dark Wood! You don’t want to miss this, or any of Billy’s work.